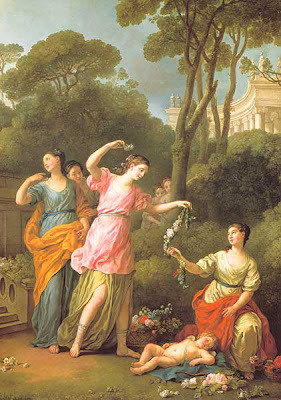 Joseph-Marie Vien, French painter, draughtsman and engraver. 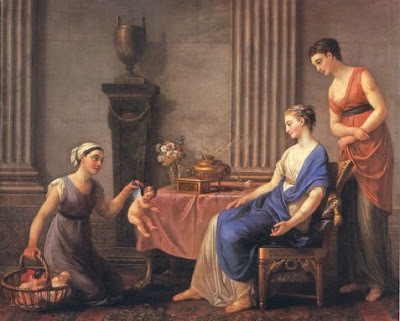 He was one of the earliest French painters to work in the Neo-classical style, and although his own work veered uncertainly between that style and the Baroque, Vien was a decisive influence on some of the foremost artists of the heroic phase of Neo-classicism, notably Jacques-Louis David, Jean-François-Pierre Peyron, Joseph-Benoît Suvée and Jean-Baptiste Regnault, all of whom he taught. 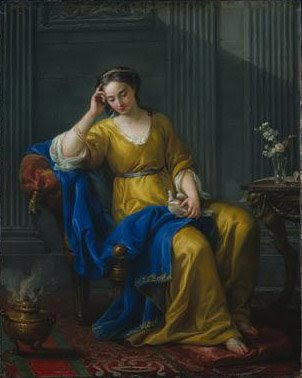 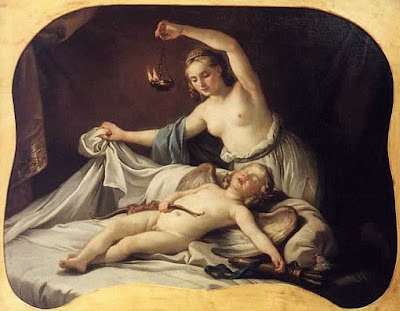 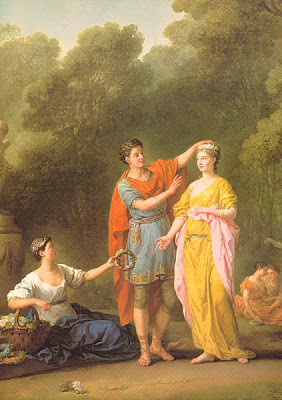 Both his wife, Marie-Thérèse Reboul (1738–1805), and Joseph-Marie Vien fils (1762–1848) were artists: Marie-Thérèse exhibited at the Salon in 1757–67; Joseph-Marie fils earned his living as a portrait painter and engraver.